Pricey for a figure that’s 30 years old? That thing would go for hundreds these days! 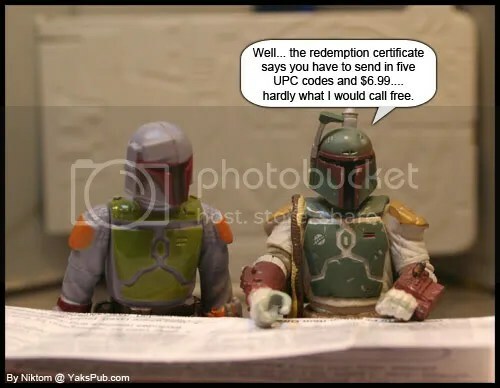 A real (loose) vintage Boba Fett is hardly worth hundreds, cared yes. 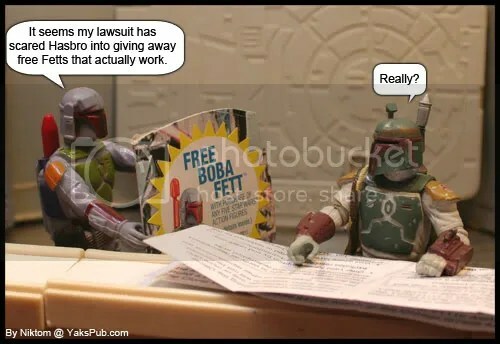 A real vintage Rocket Firing Boba Fett is actually worth thousands. 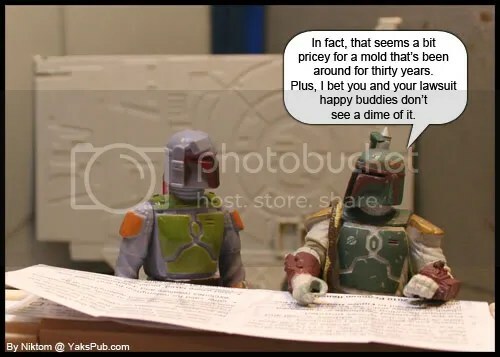 However, it is costing Hasbro very little to produce this new Rocket Firing Fett due to the fact that it’s basically using a mold which has been around for thirty years. Very little if any new tooling, creativity or anything of the matter. From this “free” figure they are gaining profit from five figures we purchase in the stores and I’m sorry… but it will not cost them $6.99 to handle and ship the thing… thus they are making profit off that as well. well, I would’ve said it costs thousands anyway, but then I looked on eBay and saw one, still in package, that was $999.99, which would round to 1,000, but I considered it hundreds. What do you expect from a bouny hunter?